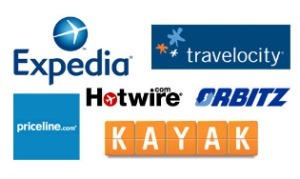 Online travel agencies (OTAs), represent a key source of bookings for airlines and hotels — Expedia and Priceline reported gross bookings of $60.8 billion and $55.5 billion, respectively, in 2015 — so why are hotels and airlines trying to compete with some of their largest distributors? The short version: it’s all about margins. While travel services do source a great deal of traffic for hotels and airlines, that traffic comes at a cost. Travel agencies make most of their money by charging commissions, typically set as a percent share of the total value of the booking that can range from 10% to as high as 25%. The prospect of cutting out the middleman — the travel service companies — and reclaiming the value of that commission is an undeniably tempting proposition. There are, however, long-term costs to this strategy. Direct competition with downstream distributors risks alienating those distributors, and losing exposure through the substantial marketing efforts and distribution platforms of travel service providers. In order to reduce the conflict, it is necessary that travel services and their suppliers more clearly delineate their respective roles in the market. The good news is that one company, Expedia, has already taken steps towards doing so. In early 2016, the company began to roll out a new program, called Accelerator, that allows suppliers to pay a higher commission to receive a bump in search results on Expedia’s web platforms. In addition, the company lowered its base commission rate. This represents an attempt by Expedia to reposition itself in the market such that it competes less directly with its suppliers. Under normal circumstances, Expedia will charge less aggressively for commissions, easing pressure on supplier margins. At the same time, the company will offer to help suppliers market distressed inventory for a higher rate. While this is far from a complete resolution of the conflict, it is a first step toward distinguishing the respective roles of travel services and their suppliers. While you’re there, check out some of our related reports, which include Air Transport Services: United States, Amusement Parks: United States, and E-Commerce: United States.